Karan Johar called Manmarziyaan an "unusual magical emotional ride"
Manmarziyaan is making its way to the theatres this Friday and celebrities who have already watched the film are all praises for the team. 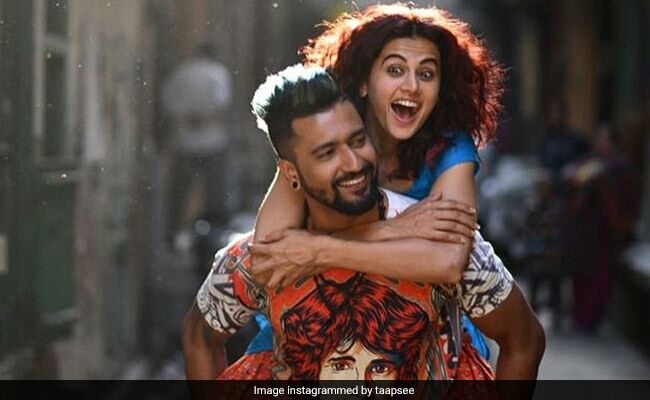 Directed by Anurag Kashyap, Manmarziyaan stars Taapsee Pannu, Abhishek Bachchan and Vicky Kaushal. Manmarziyaan was screened in Mumbai on Wednesday, which was attended by the film's producer Aanand L Rai, Sara Ali Khan, Swara Bhasker, Fatima Sana Shaikh, Yami Gautam and Sonal Chauhan. 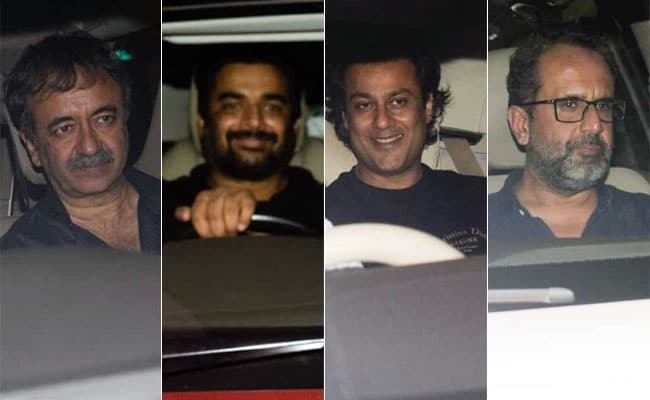 Filmmaker Karan Johar, who had watched the film recently, couldn't stop raving about the cast and the director of the film. He called Manmarziyaan an "unusual magical emotional ride". "The man woman dynamics of Manmarziyaan are beautifully chaotic! The atmospherics combined with the Anurag Kashyap madness makes this film a truly unusual and magical emotional ride! I was on an Amit Trivedi roller coaster and enjoyed every bit of it," Karan tweeted. A tweet arrived from Neha Dhupia, in which she wrote: "Loved Manmarziyaan. Give me romance, great music, a beautiful world and spectacular performances n I'm sold! Taapsee got every beat right, Vicky Kaushal was the life of it and Amitabh Bachchan was the pillar who packed a rock solid performance. This is beautiful Anurag Kashyap." 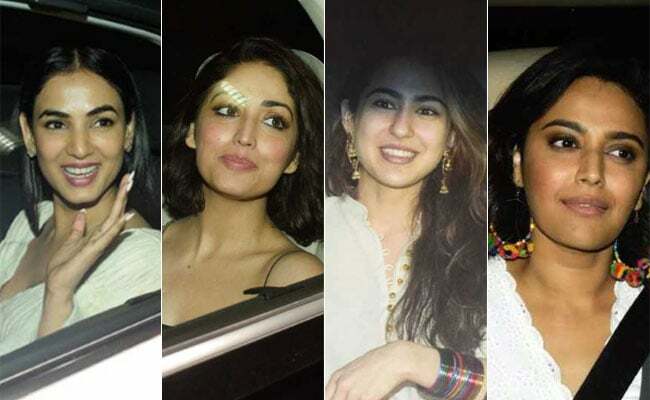 Yami Gautam, who had also attended the special screening, showered the team of Manmarziyaan with appreciation and said that the film is "outstanding". "After long experienced something different at the movies called Manmarziyaan! This modern age Pyaar and Fyaar, performances, writing, music is so incredibly riveting! Vicky, officially running out of words - only you could create Neela kukkad - outstanding." The man woman dynamics of #Manmarziyan are beautifully chaotic ! The atmospherics combined with the @anuragkashyap72 madness makes this film a truly unusual and magical emotional ride! I was on an @ItsAmitTrivedi roller coaster and enjoyed every bit of it! Manmarziyaan premiered at the TIFF (Toronto International Film Festival) as Husband Material recently. The cast of the film - Abhishek Bachchan, Taapsee Pannu and Vicky Kaushal - were present at the special screening. The cast arrived in Toronto after a hectic promotional schedule in India. Meanwhile, in his review for NDTV, film critic Saibal Chatterjee gave Manmarziyaan 3 stars out of 5. "Manmarziyaan is a film that is likely to sweep you along as it goes down its lazy, loopy path in search of happiness for its endearing heroine. You will her on to settle down, but on her own terms. Yet you leave Manmarziyaan with the feeling that neither of the two men in her orbit deserve her," he wrote. Manmarziyaan also happens to be Abhishek Bachchan's comeback film. Abhishek, who was last seen in Housefull 3, is returning to the silver screen after a span of two years.